[S7] 1850 (June 1) U.S. Census, District 75, Ray Co., MO, p. 607 (stamped 303). [S3398] Kentucky Compiled Marriages 1802-1850, made available by The Generations Network Inc. (Provo, Utah) on-line at www.ancestry.com, 2010; database from the Jordan Dodd. [S3397] Laurinda Armer, "Bowman/Wright/Yarnell/Winebrenner Tree," database made available on-line courtesy of Laurinda Armer, https://www.ancestry.ca/family-tree/person/tree/28354700/person/362061868041/facts, database viewed 14 Dec 2018. [S903] Find A Grave, online. Mary Ann Ball was also known as Polly.1 Photo courtesy of Keith Bowman. [S888] Thomas Bittman, "Bittman and Davis Family Tree," database made available on-line courtesy of Thomas Bittman, http://wc.rootsweb.ancestry.com/cgi-bin/igm.cgi?op=REG&db=tombitt&id=I03725, database put on-line 8 July 2009. [S10] 1880 (June 1) U.S. Census, Richmond, Ray Co., MO, ED 137, p. 1 (stamped 389). [S10] 1880 (June 1) U.S. Census, Richmond, Ray Co., MO, ED 137, p. 3 (stamped 390). [S5] 1830 (June 1) U.S. Census, Ray Co., MO, p. 387. [S3396] Missouri Death Records 1850-1931, made available by The Generations Network Inc. (Provo, Utah) on-line at www.ancestry.com, 2018; database from the MO, USA: Missouri State Archives. Microfilm Missouri Death Records. Jefferson City. [S7] 1850 (June 1) U.S. Census, District 46, Lafayette Co., MO, p. 22 (back of stamped 155). [S8] 1860 (June 1) U.S. Census, Lexington, Lafayette Co., MO, p. 27. [S7] 1850 (June 1) U.S. Census, District 46, Layfayette Co., MO, p. 314 (back of stamped 158). [S8] 1860 (June 1) U.S. Census, DeWitt, Carroll Co., MO, p. 45. [S9] 1870 (June 1) U.S. Census, Richmond, Ray Co., MO, p. 26 (back of stamped 532). [S12] 1900 (June 1) U.S. Census, Fremont, Clark Co., WI, ED 19, Sheet 2A (stamped 45). [S13] 1910 (April 15) U.S. Census, Fremont, Clark Co., WI, ED 24, Sheet 9A (stamped 79). Comment by DGB: He may be the Alexander Green Ball that died 1905 and was buried in the Confederate Soldier cemetery in Lafayette Co. MO. End of comment. [S12] 1900 (June 1) U.S. Census, Dover, Layfayette Co., MO, ED 152, Sheet 16A (stamped 113). [S12] 1900 (June 1) U.S. Census, City of St. Louis, MO, ED 357, Sheet 22B (back of stamped 68). [S10] 1880 (June 1) U.S. Census, City of St. Louis, MO, ED 52, p. 3 (stamped 255). [S894] Markay Raybon, "Markay's Family Tree," database made available on-line courtesy of Markay Raybon, http://wc.rootsweb.ancestry.com/cgi-bin/igm.cgi?op=REG&db=markayraybon&id=I17765, database put on-line 7 June 2009. [S8] 1860 (June 1) U.S. Census, Richmond, Ray Co., MO, p. 299. [S9] 1870 (June 1) U.S. Census, Richmond, Ray Co., MO, p. 25 (stamped 588). [S7] 1850 (June 1) U.S. Census, District 25, Dade Co., MO, p. 538 (back of stamped 268). [S8] 1860 (June 1) U.S. Census, North, Dade Co., MO, p. 112. 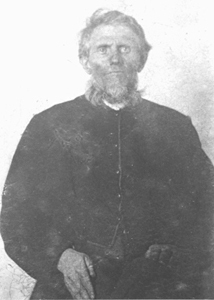 [S889] Hoyt Couch, "CouchBaker Family Tree," database made available on-line courtesy of Hoyt Couch, http://wc.rootsweb.ancestry.com/cgi-bin/igm.cgi?op=REG&db=:3289264&id=I30232, database put on-line 21 February 2007. [S9] 1870 (June 1) U.S. Census, North, Dade Co., MO, p. 7 (stamped 72). [S9] 1870 (June 1) U.S. Census, North, Dade Co., MO, p. 10 (back of stamped 73). 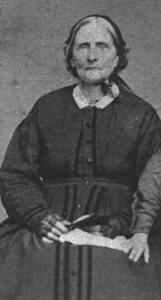 [S892] Missouri Marriage Records 1805-2002, made available by The Generations Network Inc. (Provo, Utah) on-line at www.ancestry.com, 2007; database from the MO, USA: Missouri State Archives. Microfilm Missouri Marriage Records. Jefferson City, Dade Co., MO, p. 154.